Chris Stoddard attended the University of Newcastle and graduated from a Bachelor of Physiotherapy with distinction in 2013. He has previous experience working in a specialist sports and spinal clinic under the mentorship of Olympic and national team physiotherapists. This was a tailored new graduate position with structured tutelage and vast practical experience. As a result of this, Chris has keen interest in sports injury assessment and diagnosis as well as exercise based and preventative rehabilitation. He has attended several post-graduate course including The Science of Cycling and attained a Sports Level 2 Certificate. He aims to be an APA titled Sports Physio in the next couple of years. He has provided physiotherapy for State Netball, International Children’s Games and the Australian Schoolboy’s Rugby Union. 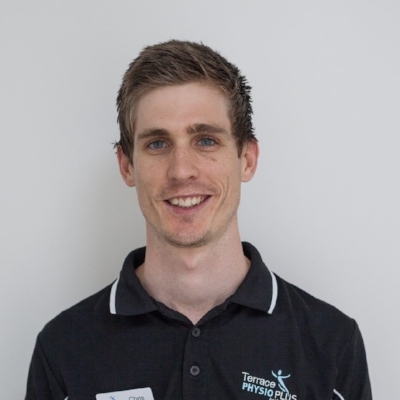 In 2017, he has taken on the role as Head Physiotherapist for the Australian Men's and U24 frisbee teams. He has travelled around the world with these teams over the past couple of years. His personal interests include spending time with his wife Jess, cycling, running, music/guitar and Ultimate Frisbee.